Accounting is a core business function. Without it, a business is sure to fail. With it, a business might survive. With proper accounting, managed by a Profit Center Expert, a business is certain to succeed. You’re probably already familiar with the bleak forecast for new small businesses. While failure rates have decreased considerably in the last few years, recent studies from the Small Business Administration (SBA) indicate that one third of new employer establishments fail within the first two years, and 56% fail within four years. Poor financial management is often cited as the reason for most small business failures. Often the business owner or a member of the business team manages this crucial function because they want to maintain complete control of their business, or they’re afraid that outsourcing the accounting/bookkeeping would be too expensive, or perhaps a combination of the two. What they don’t realize is that outsourcing is a useful management strategy that can save a business both time and money while preventing potential failure. And when you outsource to the right accountant, it can be the difference between base survival and profitable success. You’re in business because you’re good at what you do. Your expertise involves the product and/or service you offer. And we’re guessing your expertise is not accounting. So if you, or anyone on your team, spend time managing your business’s finances, that’s time that could be better spent building your business. In order to be competitive you must constantly be looking for ways to improve and expand your products and/or services, better market your business, and stay ahead of your competition. When you and your team focus time and attention on the accounting, that’s time not spent on these crucial tasks. When you outsource the to a trusted professional, you can use that time to make your business the best it can be. We all know time is money. The average small business owner spends over 10 hours personally, each month, working on the books for the business. If your average billing rate is $50 per hour, you may be spending more than five hundred dollars’ worth of your time! Chances are you can easily pay for a good accountant and then some with all that money. 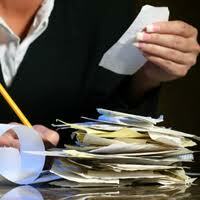 Reputable accountants have the expertise to not only save you money, but to make your business more profitable. In addition to that, they have access to equipment and technology that most small businesses can’t afford. They will use their resources to your advantage and save you the time and headache of doing it yourself. 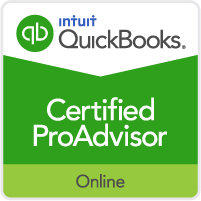 A truly valuable accountant is also a Profit Center Expert. They analyze financial data in order to assist you in making profitable decisions for your business. A Profit Center Expert can inform you which products and/or services to expand, which to eliminate, whether your marketing attempts are successful, where you’re losing money, and where to cut back in order to save and redirect funds in order to become more profitable. Don’t wait another day to partner with a Profit Center Expert and make your business more successful. Do what you love to do more; let your Expert take care of the rest. Call 310-921-2979 now for a free, no-obligation consultation.